Bethune-Cookman is heading to the NCAA Tournament for the first time in program history and will take on no. 1 seed Notre Dame (30-3) in the first round. Notre Dame's title defense begins! In a strange twist, ESPN accidentally revealed the brackets on television ahead of the 7 pm show that was scheduled. With the cat out of the bag, the network announced the pairings at 5 pm instead. 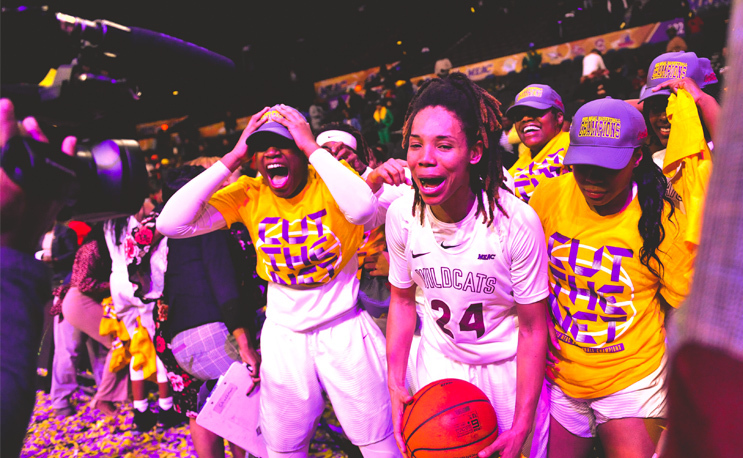 The Lady Wildcats (21-10) earned the trip after beating Norfolk State 57-45 in Saturday’s MEAC tournament championship, its first league championship since 1984. That year the women’s tournament only fielded 32 teams. The women’s tournament expanded to 64 teams in 1994.